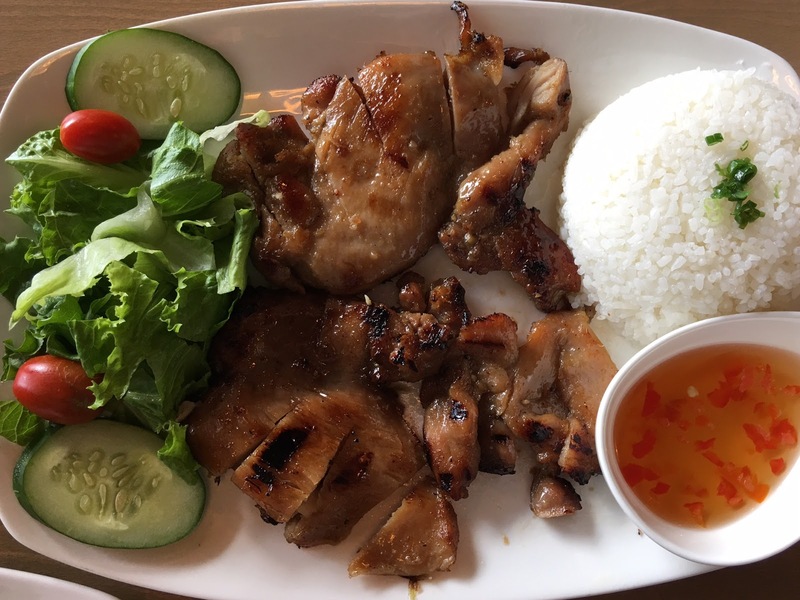 Broken Rice is a new Vietnamese restaurant that opened in Kaimuki in mid-February. The menu is small, but it has the basics: spring rolls, rice plates, pho, and rice vermicelli plates. 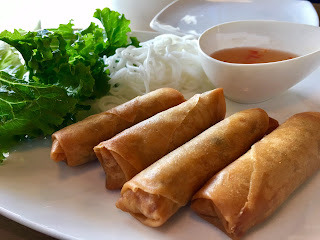 I always have to order spring rolls at any Vietnmese restaurant I go to. These were good - hot, crispy, and filled with a nice balance of shrimp, pork, carrots, long rice, and onions. For my entree, I ordered the broken rice with chicken, after all, the restaurant is named "Broken Rice"! In case you're wondering what broken rice is, click here. It is what it is - broken rice! I'm not quite sure what makes it special or desirable (according to some articles I've read, it's a cheap grain of rice that is very popular in Vietnam), but I must say, it was quite delicious. The BBQ chicken was a little on the dry side, but it still enjoyable thanks to the Vietnamese dipping sauce. 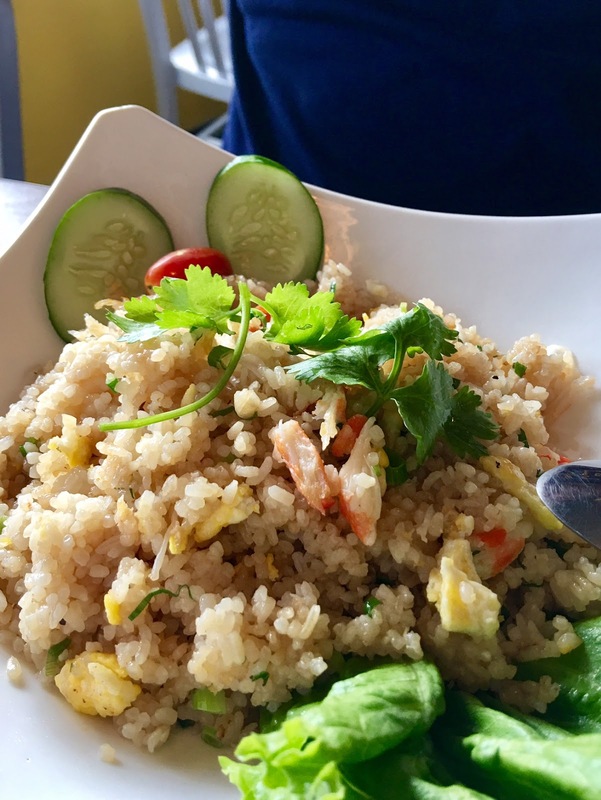 My friend ordered the crab fried rice, which is made with broken rice. It was pretty tasty, but a bit pricey at $18. Hopefully as time goes on, they will expand the menu and offerings, such as banh mis! Reservations are encouraged for dinner service - click here.